Always Alive Recordings is the new label from Demarks No. 1 Trance star Daniel Kandi and long term friend, artist manager and fellow Enhanced artist Phillip Alpha. Responsible for some of the biggest tracks and remixes on Enhanced over the past few years, not to mention a whole host of chart topping, dancefloor destroying productions across other luminary labels, this duo definitely know how to make hit after hit, and have quietly mentored some of the brightest talents to hit the scene in recent times which has lead them to launch their own Enhanced sublabel. 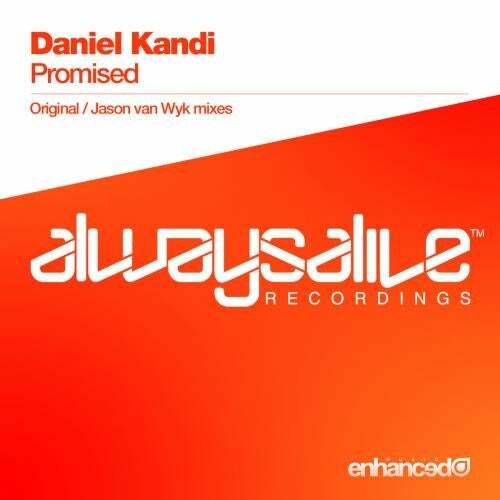 Launching Always Alive is the fantastic 'Promised' from Daniel Kandi himself - and fans of the traditional Kandi sound will not be disappointed with its irresistible melody that has seen it supported by Armin van Buuren already. Daniel: 'It was a melody that had been stuck in my mind for quite a while. Back in the summer I met this wonderful German couple that had huge passion for uplifting trance, and they came to me and asked if I could make a track that was dedicated to them, after seeing how much they cared or each other I decided to give it a go and this is the end result. A powerful uplifting trance track dedicated to Dino Biedermann & Mayte Richter who picked the title "Promised". South African Jason van Wyk has been drafted in for the remix and has produced a beautiful take on the original with his unmistakably lush, warm sunkissed sound that makes this an incredibly hot package to kick of Always Alive in 2011!